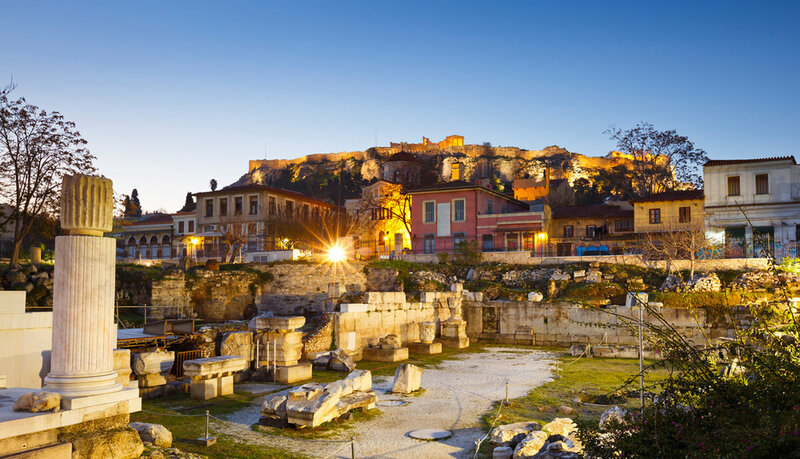 The historic center of Athens is filled with thrills and excitements, sights and attractions of significant historic value and beautiful neighborhoods. In the heart of the city, we find Plaka. This is a special place with aromas and traditional flavors. As you walk through the cobbled streets of Plaka, you can gaze at the imposing parthenon and admire the site of the Roman Agora. The fresh air fills your lungs and you can enjoy a light snack or a traditional meal at one of the restaurants and taverns nearby. Plaka is one of the oldest places in Athens, having preserved its distinctive character over the centuries. The buildings are neoclassical in architecture and you can walk through the home residences of some of the most prominent people of the city. Plaka is adjacent to Monastiraki and the famous flea market. It offers you the unique opportunity to stroll and wander through the neighborhoods, mingling with the locals and trying out the most characteristic flavors of Athens. If you are visiting Athens, a quiet and leisurely walk to Plaka is a must-do. You will be excited by the genuine aesthetics of Plaka and its wonderful setting. A place that seems to stand still, although everything around it ages and changes over time. This is the magic of Plaka!